I wanted to follow up the blog post about the prone hip extension assessment with some follow up posts to give some examples of what we do with athletes who may exhibit under active glutes. In this first post, I want to explain what we would do first in correcting this. It is important to note that this series has been successful for us. This is based on athletes giving us constant feedback about how they feel. The first thing that we will always do is look to the opposite side of the hip on the weak glute side. For example, if one of our athletes/clients can’t fire their glute on one side, we will look to the front of that same side hip. What we usually see is tightness of one or more muscles including Iliacus, Psoas, and/or T.F.L. It totally makes sense as tightness of one or more of these muscles may cause the glute on the opposite side to lengthen and weaken (Reciprocal Inhibition). This leads me to think of a common question- “Do tight hip flexors cause weak glutes? Or- Does weak glutes cause tight hip flexors?” I honestly don’t know. I can tell you that in our athletes, we will do whatever we possibly can to prevent both from happening. The first thing that we will do is foam roll. The foam roll is a great way to attack ptrigger points, adhesions, and/or tightness in the hip flexors. We will always foam roll in this area with all of our athletes and clients. Ideally, we will enlist the help of a massage therapist, or maybe our Active Release Practitioner. However, many athletes may have this dysfunction, so we will use the foam roller with bigger groups of athletes. We will actually spend some time specifically on the TFL as well as roll into the IT Band. The TFL will become tight due to over working in the hip flexion pattern- especially in skating. This one has really helped us with getting these muscles to relax. What we have our athletes do is put the end of the foam roll under the rib cage, superior to the iliac crest, and lateral to the belly button. Most of our guys will feel it right away. However, if they can’t feel it right away, we will cue them to bend the knee of the same side leg, and try to contract the glute on the same side leg. This cue has been great for athletes who don’t “feel it” right away. We will have them take their time until the hip flexors relax and release. Sometimes our athletes and clients may be able to feel their glutes activate better just from doing this alone. utilize the entire hamstring group properly. weightroom”. I think I have a simple, low cost solution. Kevin, Michael, Sean and Mike. There are several strength and conditioning coaches and trainers who prescribe isolated glute max muscle “activation” and/or strengthening work. These are exercises such as glute bridges, 1-leg glute bridges, quadruped hip extensions, and others where the emphasis is on the quality of the muscle contraction. There are also several coaches and trainers who think that activation exercises are a waste of time and think that this concept is just a fad. What I have found is that they may think that if their athletes are doing exercises such as squats, lunges, single leg squats, split squats, etc, then they are strengthening their glutes and the activation exercises are unnecessary. I am one who does prescribe glute activation exercises. We will do glute max isolation exercises on a daily basis with our players. First, I think it is imperative to note that my job is to help keep the best players in the lineup on a nightly basis. I understand that injuries such as fractures, concussions, and lacerations are beyond my control. However, I am on the cautious side when it comes to soft tissue injuries. We will do everything that we possibly can to help prevent injuries from happening- even with healthy athletes. I was first introduced to the Prone Hip Extension Test by Al Vermeil at a seminar we hosted at Boston College back in 2001. A few years later, I was able to attend a course on the Janda Method. That’s when I learned how to administer the test properly. This test has helped us identify athletes who don’t use their Gluteus Max’s when completing hip extension movement. In a proper sequence of muscle activation, the hamstrings would fire first, glute max second, opposite side lumbar extensors third, same side lumber extensors fourth, opposite thoracolumbar extensors fifth, and same side thoracolumbar extensors sixth. Several times, the gluteus maximus may not turn on at all. Sometimes, we will see a difference in right vs. left side function. In my opinion; this is a recipe for disaster. Players who are continually going out and performing in their sport with this kind of pattern have a good chance of getting hurt. Lower backs, hip flexors, and groins, can be affected by this. Think about it, a player who can’t fire his glute max in order to help produce a significant amount of hip extension is going to find a way to do it without them. Hamstrings, and lower back are the likely candidates. These muscles may over work and strain. I would also be worried about the athletes who are doing squats, lunges, single leg squats, and split squats, with this weakness too. They are figuring out a way to do those exercises without their glute max. 1- HockeyStrengthandConditioning.com is up and running. If you train hockey players, you have to check it out. We will start posting content on a weekly basis real soon. I am really excited about it as there are several strength and conditioning coaches and athletic trainers from all levels including the NHL, AHL, major junior, and others. 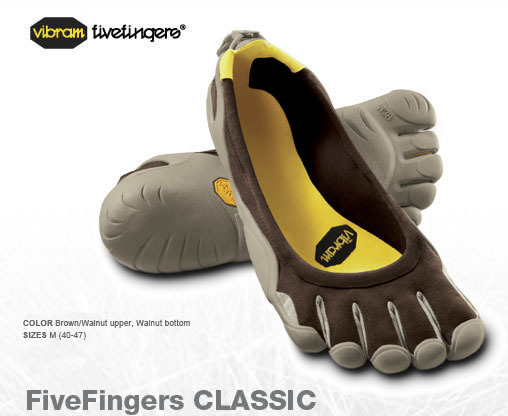 2- I got a pair of Vibram Five Fingers a few weeks ago. Honestly, I wish I got them sooner. I’ve been training with them and have been on a few walks with them. I believe they have helped me with some neurological symptoms that I have had in my left foot. Surgery for a bulging disk back in 1999, and another surgery that I had to remove a non-cancerous mass in my spinal cord at the cervical level, has given me trouble with sensation. I really believe that the Vibrams have helped wake up some proprioceptors and muscles that may have been shut down in my foot. I am actually able to move my pinky toe by itself. Something I haven’t been able to do for a long time. 3- Another thought on my training, I really love Jim Wendler’s 5-3-1 program. I continue to make gains in strength on this program as I keep going up on my Military Press and Bench Press. My “Actual Max” has gone from 155 to 190 in the Military Press while my Bench has gone from 225 to 265. (I do not squat or deadlift, see #2 above). Not bad results. Something I may look into with my junior hockey players this summer. What I really like about it is the simplicity of it. It is a basic program that is really easy to plan out. In the spring of 2004, I took a course called “The Janda Approach to Musculoskeletal Pain Syndromes”. It was a 2-day course and I was the only strength and conditioning coach there in a room full of Physical Therapists and Athletic Trainers. The course was given by Physical Therapist Clare Frank. Although, I did feel that the information was way over my head at times, Clare was very helpful in helping me understand the concepts that were taught. I was very impressed with her passion that she has for Vladimir Janda’s work. 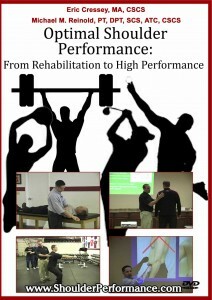 I really learned a lot of information at that seminar and have been able to apply some of the concepts with my athletes. 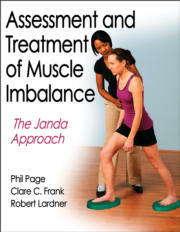 Clare has written a book Assessment and Treatment of Muscle Imbalance: The Janda Approach. It is due out in late December. I really look forward to getting this book as I think it will be an excellent resource for any Strength and Conditioning Coach, Physical Therapist, Athletic Trainer, Massage Therapist, etc. Check out her site- www.Movementlinks.com.